Buy the Farm . . . Share: Take Five . . . Months! This morning Jen shipped off to Texas leaving me alone with the Wombats on the days leading up to their five month birthday. I did what any responsible father would do and immediately bundled them up in their car seats and ran them off to daycare about five minutes after she left. I just couldn't risk them getting hungry and making me late for work. 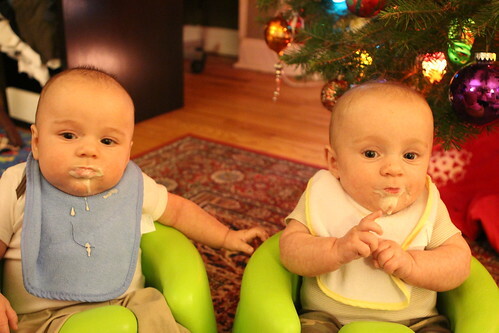 The whole time I expected that they would start freaking out and I'd deliver two blubbering messes to our day care. Instead they were very well behaved little gentlemen. At least while I was with them at day care. When I got home I put the babies in their walkers and preheated the oven while I played with them. 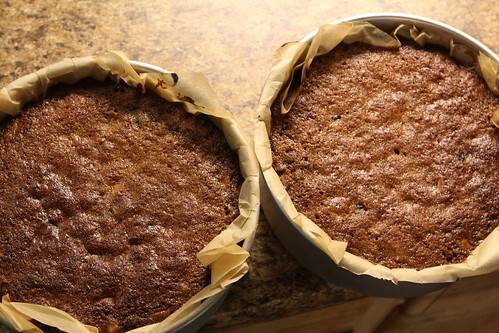 After the oven was at 275 degrees I tossed in the second round of fruit cake after ruining yesterday's batch. I had two-and-a-half hours to kill after putting the cakes in the oven so I posed the Wombats into their Summit position in their walkers. This is a favorite of my mother-in-law so I figured that would gain me some points since she's upset with the quantity of baby pictures and the fact that she perceives that I owe her money for some odd reason. After playtime I fed them both bottles and rice cereal which made a tremendous mess. Since we had no hot water last night and I wasn't able to bathe them when Jen was here I gave them both a bath. I would have loved to skip this step as it's a bit challenging with just one adult. However, I already felt I had to make excuses to the ladies at the day care about their sticky skin and the balls of lint they've both collected in the dried up sour milk in their neck folds. 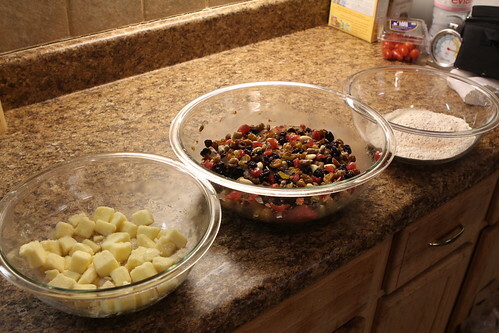 By that time the fruit cake was ready to come out of the oven. It cooked up much quicker than the batch last night. I guess putting in twice as much butter as the recipe requires lengthens the cooking time substantially. That's an important culinary lesson and just one of many reasons not to put in double the butter in any recipe. 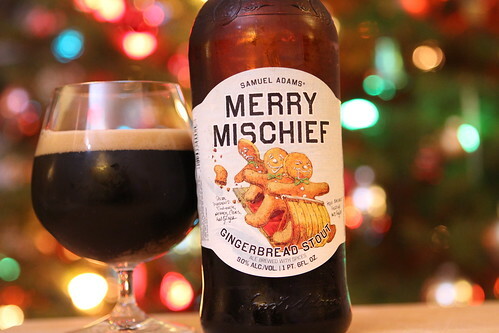 After dinner and getting the Wombats to bed I relaxed and poured myself this Merry Mischief Gingerbread Stout from Sam Adams which I enjoyed by the Christmas tree. 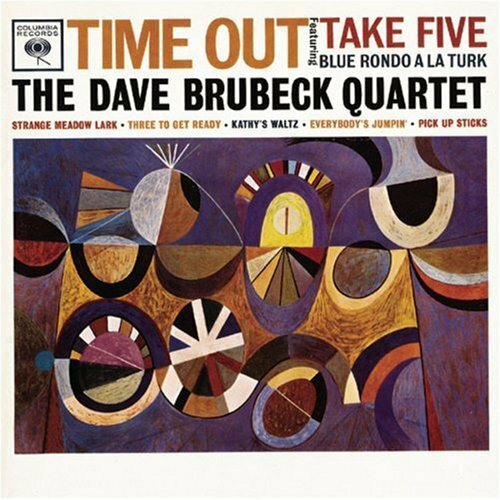 I also took some time to listen to Dave Brubeck's Take Five this evening after hearing the unfortunate news that he had passed away earlier today. The Wombats enjoyed the album quite a bit. It was their first time hearing music written in 5/4 since we haven't played them any Rush yet. I think Child Development experts agree that you shouldn't play Rush for children before their second birthday. After one listen Take Five is the Wombats' third favorite album. 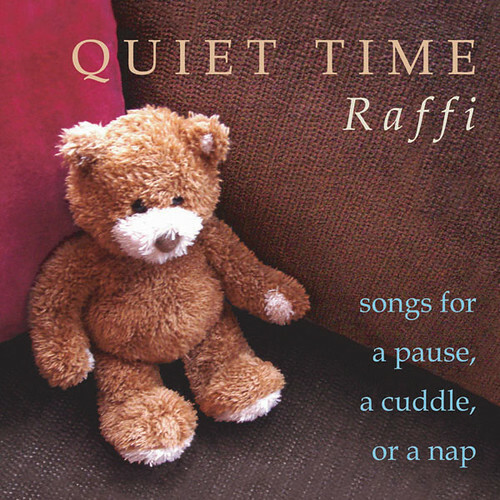 Their favorite album is Quiet Time by Raffi. This is what we listen to every night on our way home from day care. In this album we learn that Raffi likes to ride a palomino, Maria is from Italy, and that Jen hates the song about sunflowers. The song about sunflowers is my favorite one on the album. 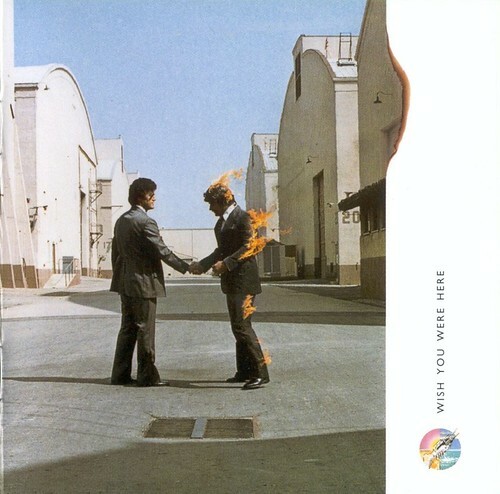 Their second favorite album is Pink Floyd's Wish You Were Here. Jen thought that this was me projecting. This is not the case as Jen doesn't take into account that this is not my favorite Pink Floyd album. I'm not sure why they like it so much. All I know is that after we get home and finish up Quiet Time Elliott likes to veg out and listen to Shine On You, Crazy Diamond. He's also really hungry when he gets home. I'm going to have to ask if they're adding anything to the formula at day care.